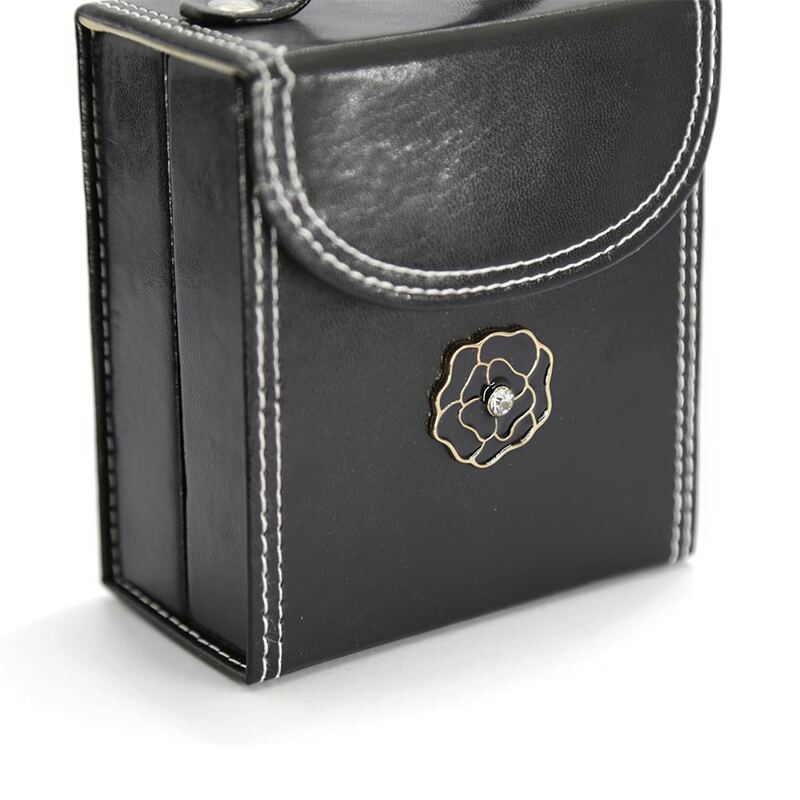 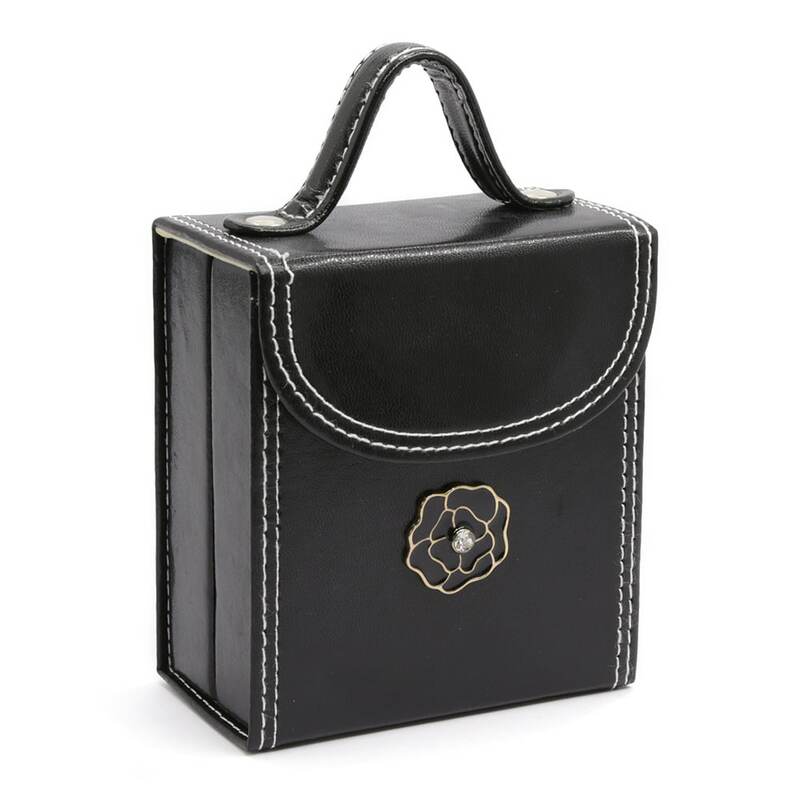 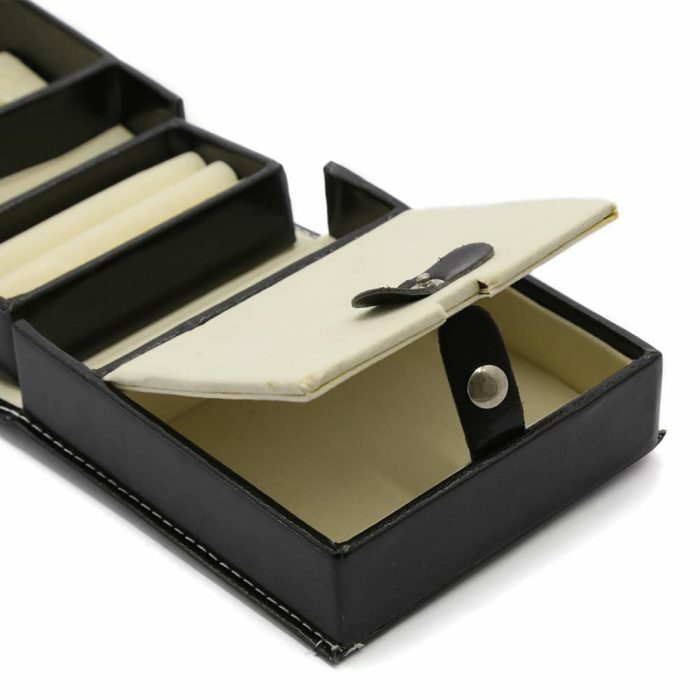 This Black Fold-up Jewellery Box can be a jewellery box or a clutch. 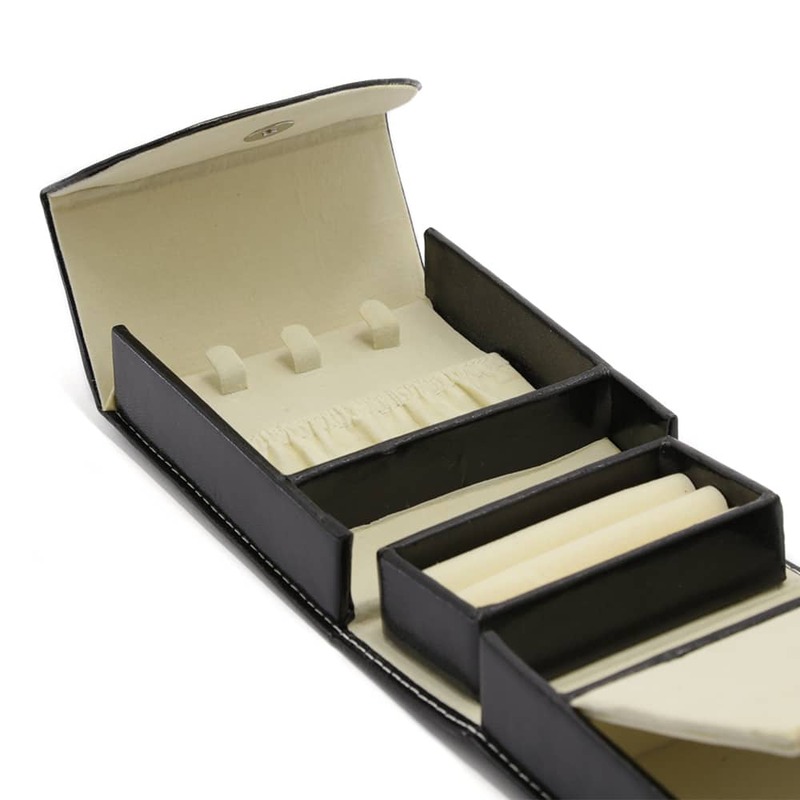 It has a black exterior with white stitching and cream velvet interior. It has a large handle on top making it easy to take with you while also storing securely all your favourite items. 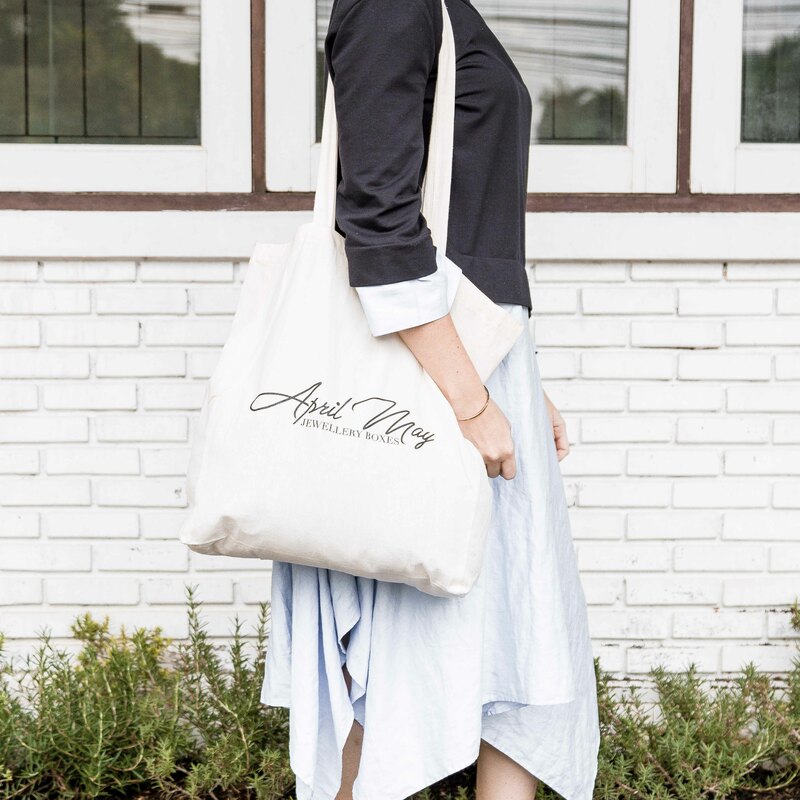 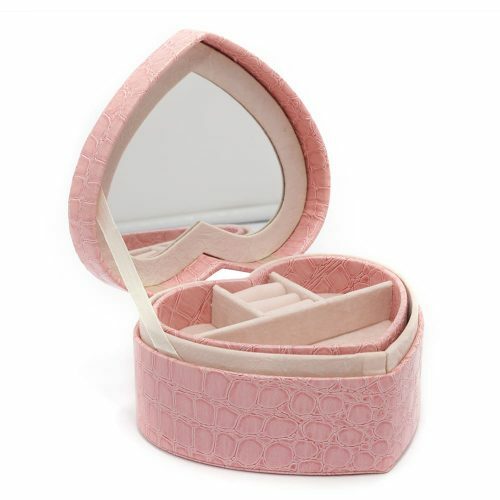 This clutch features multiple compartments making it perfect for storing jewellery, bracelets, rings, necklaces, earrings and other valuables while traveling around. 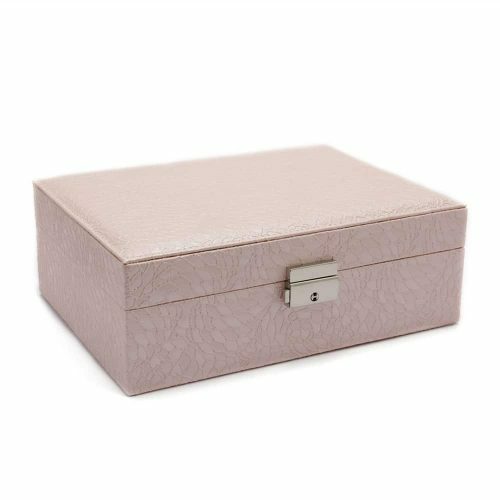 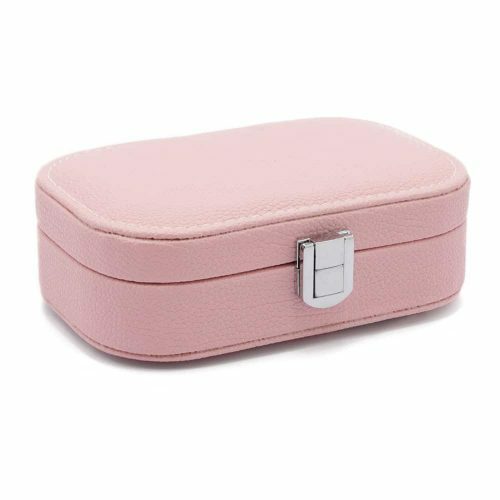 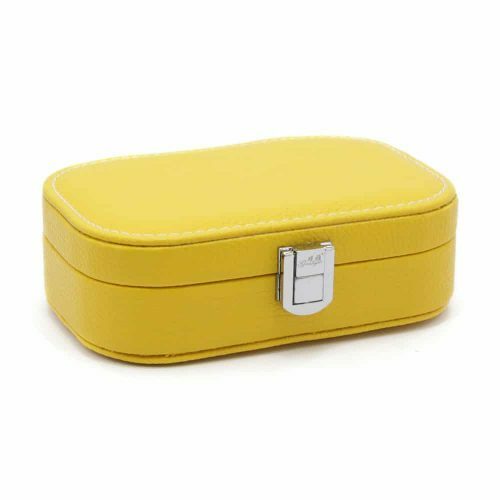 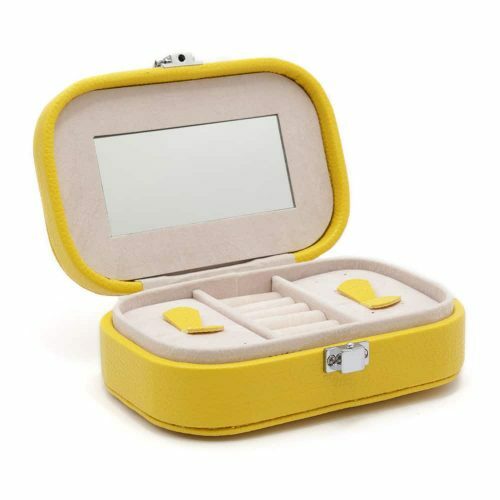 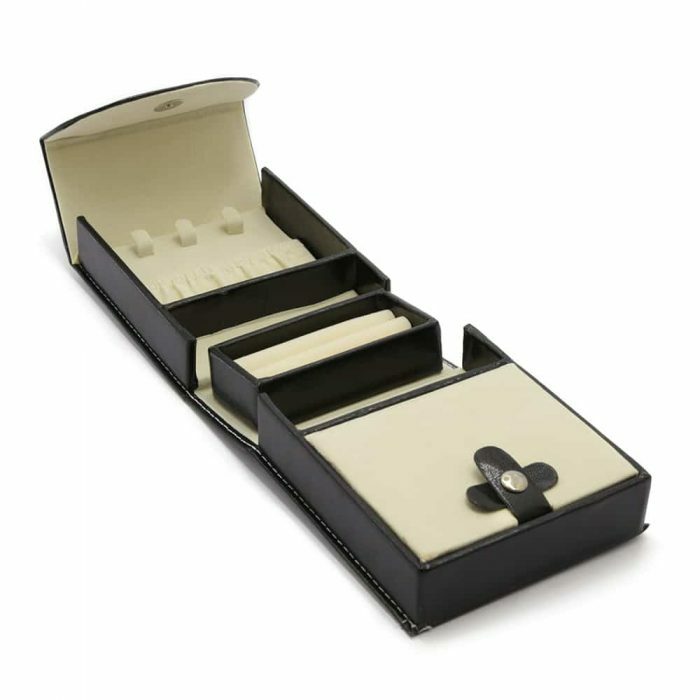 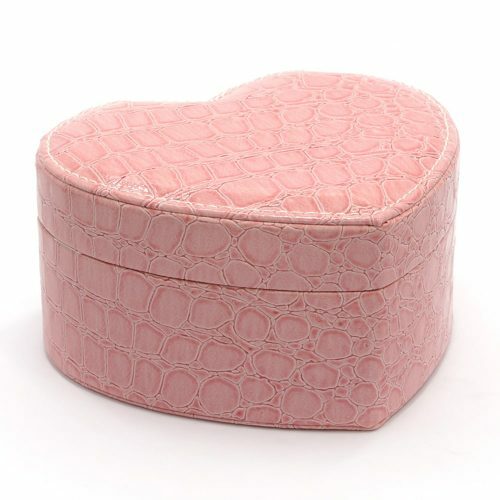 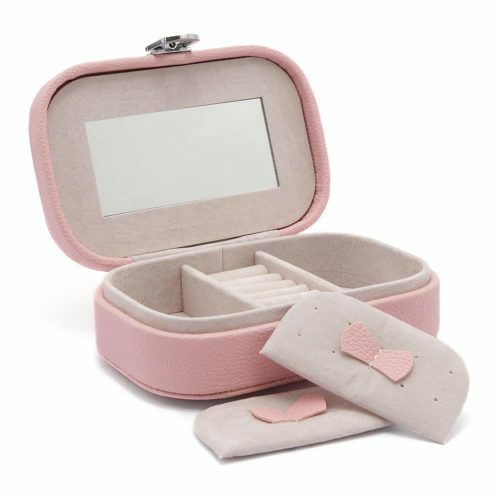 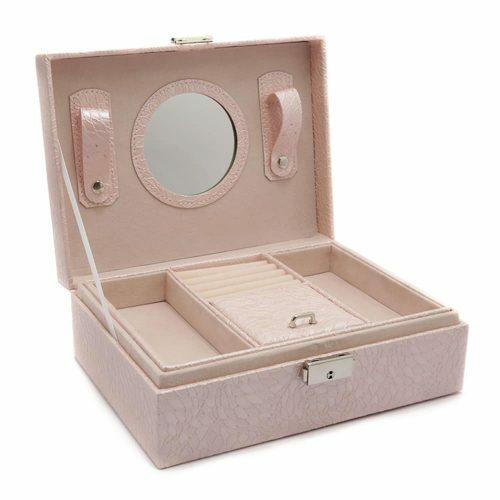 Organising and storing your jewellery is made stylish and easy with this elegant portable jewellery box.